Yep, agree with everything you say regarding estimating mpg, my problem is it's not my daily driver and there is a leak somewhere around the 3/4 full mark , hence having to drop the engine . Bit difficult to estimate MPG, so many variables... hills, whether you're happy cruising at 60 or are in a bit of a hurry and pushing 70/75, wind direction, broken fuel gauge, load, the condition of your engine in general, the list could go on and on, but they are supposed to improve fuel economy (dunno tho') and definately improve performance! Despite all the factors you've mentioned, it's really easy to calculate your fuel economy. For example, starting tomorrow, fill up the tank of your van and record the starting mileage on the odometer (ignore how many litres it took on the initial fill, just be sure to fill it). Drive the van for a month, you're sure to encounter all types of driving conditions from slow city traffic to open roads, to hills, to motorways to traffic-light-grand-prix. Keep filling up the van each time you refuel and record how many litres it took each time. After the month fill up the tank one last time and record how many litres it took and record the final mileage before leaving the petrol station. Add up all the litres of fuel you put into it (remember, ignore the initial fill, you just want to add up the fuel you had to replace to return it to a full tank), subtract the starting mileage from the final one to determine the total mileage covered, do some sums and work out your miles per gallon. Once you know this (and it'll be a good average of your month's driving) you'll know how far you can drive before refuelling, even if your fuel tank sender is broken, it's called your "range". Both the fuel economy and your range are useful to know as you don't want to venture out into the wilds if you've only got a quarter tank left and you don't know where the next station will be. fair enough!!! it looks like a well kept engine bay, do you clean it often? 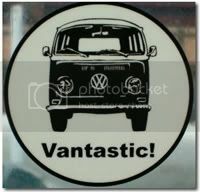 Nope, just doesn't get used due to a fuel leak issue that needs addressing, I also have a 2 litre Westy that does get used quite a lot tho', and is a real hoot to drive! And you'll see that 6l/100km is 47.08MPG. You can do it maybe 4 or 5 times and take an average and it should prove to be quite accurate. Click - click splash splash. took engine out last night, replaced seal with proper one.... i had used incorrect one. Engine is almost in sitting on trolley jack outside my house..... something in the way that i cant figure out..... even took off the reat engine mountings ot help. It's the sort of thing that walkiing away for a few hours and coming back to will sort! It's the sort of thing that walkiing away for a few hours and coming back to will sort! Wise words! Taking a step back and thinking about something is far superior to the "Gunther Method" which usually complicates things worse.... it took me a while to learn.... but I finally have...... I think....... where's me hammer? did your bay have a resetable trip counter/odometer? I'm gathering those monza exhausts are a load of crap? I have one on mine since I got it first, its got alot of surface rust and all the chrome has flaked off. Im debating if I should buy the same one again/ re-paint it or buy something else, they are going for around 90 euros these days after VAT, any suggestions? a thread on exhausts would be very beneficial I think! I put a note on my phone for the mileage i will run out of fuel at. Now i can fill my tanks , so it will be a little easier. 1. The little tip was not hitting the potentiometer, now it is and i was able to prove it was working well using my trusted multimeter. 77ohms at Empty 15 ohms at full. 2. when i connected the sender wire to earth, the dial went to full, in a rush too... from someone's advice. 3. It didn't after a while and sits at 1/4 all the time, regardless of the guage position. Have i blown it, or did i pull a wire to hard or what?